Today's quick pace and technology are turning us into faster talkers and research is saying our brains aren't keeping up, Colleen Ross discovers in Word of Mouth. From Strombo to Jon Stewart, let's agree that some broadcast hosts can talk at the speed of lightning. They're smart and satirical even if they do sometimes trip over their own brilliance. But it's not just media types who motor along. Texts, tweets, and technological gizmos are making communication ever faster and it's causing many of us to speak more quickly in our everyday lives to keep up with it all. "A decade ago," he says, "I measured the speed of speech of teachers, family members and those out in society at a rate of about 145 words per minute, the average rate of human speech. "That is certainly not what we're finding today. People are speaking at a rate of typically 160 to 180 wpm, as I have measured it." Some of us, of course, like to speak trippingly on the tongue to show that we're smart and funny. But fast talking is also a result of our overwhelmed brains trying to cram more into the same amount of time. For broadcasters – more news; parents – more activities; teachers – more information. 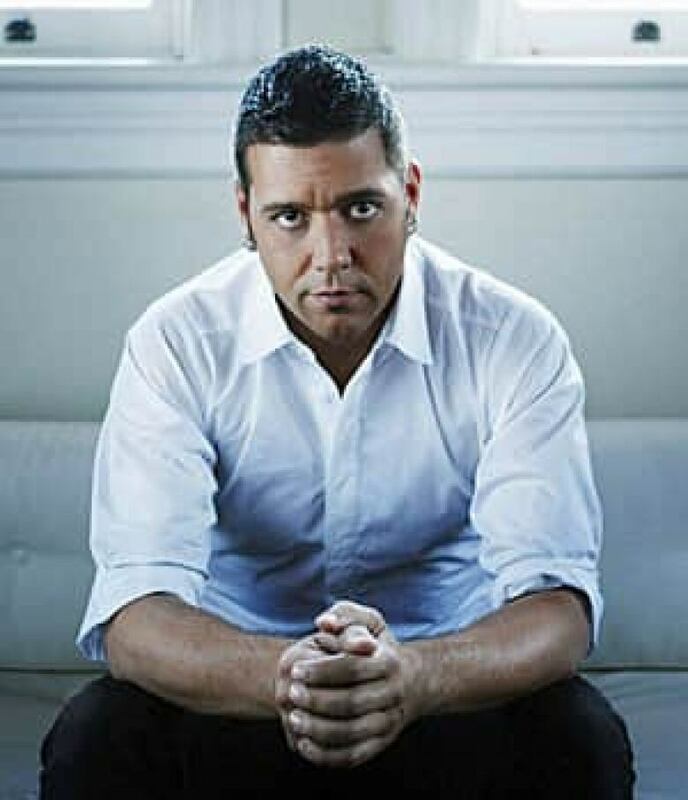 CBC TV and radio host George Stroumboulopoulos, a fast talker. Hull's mission is to slow the world down, one person at a time. Teachers, broadcasters, doctors, lawyers, even parents, they all come to him to learn to speak more deliberately and with greater clarity. He says that he's measured elementary school teachers in the classroom speaking at 180 words per minute. At that rate, he says, "those children simply cannot comprehend what is being said. Their central nervous system is not designed to do that." 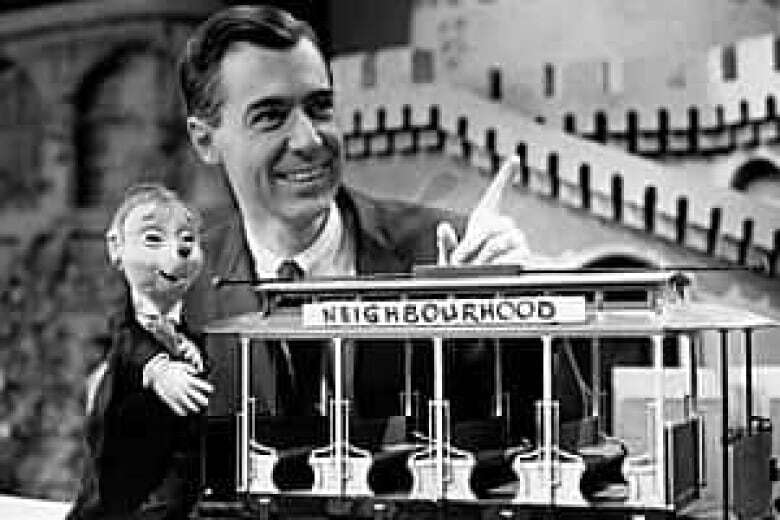 Mr. Rogers, a slow talker. But others (our foreign minister, for example) can end up clipping word endings, slurring words together or eliminating pauses. End result? Sometimes we understand only half of what's being said. So when teachers or parents think that kids don't listen, it may be more that they don't understand what's being said. It isn't just the speed of words that's the problem. A recent study showed that fast-speaking and fast-moving cartoons negatively affect children's "executive function," meaning their ability to stay on task without being distracted. So while fast-speak may be fun, it's also fraught. Seniors also can have a hard time with people who speak quickly, especially on the phone. And who doesn't get frustrated with phonemessagesthatruntogether? Hull says that when we hit our mid-30s, our central nervous system slows and we're less able to understand people who talk quickly. By around 73, we have the listening abilities of a three-year-old. That may be especially true for those of us who live amid a growing population of new immigrants. Heck, if native speakers can't keep up, then people with a lesser grasp on English must get really muddled by the motor mouths. "People call in and complain that they cannot understand what that news broadcaster is saying and that's why that news broadcaster is referred to me." You'd think, he says, "that people would begin to take the hint that they… need...to...slow... down." You can also time yourself. Mark 130 words on a page and clock how fast you read it out loud. If you're done in less than a minute, try slowing down and see what that feels like. Then again, I clocked myself at 170 wpm, and I'm often told how clearly I speak. So it may depend on how well you enunciate your words. Instead of sighing dramatically, throwing up your hands and saying "nobody understands me," do your bit to help people understand you.